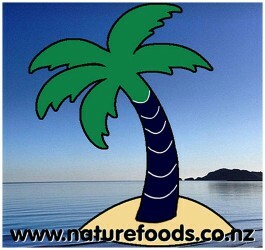 Medium chain triglycerides (MCTs) are fats that are naturally found in coconut and palm kernel oils. They're more easily and rapidly digested than other types of fats. MCTs are readily absorbed from the GI tract and are metabolized very quickly by the liver, where they are reported to encourage the use of fat for energy rather than for storage. 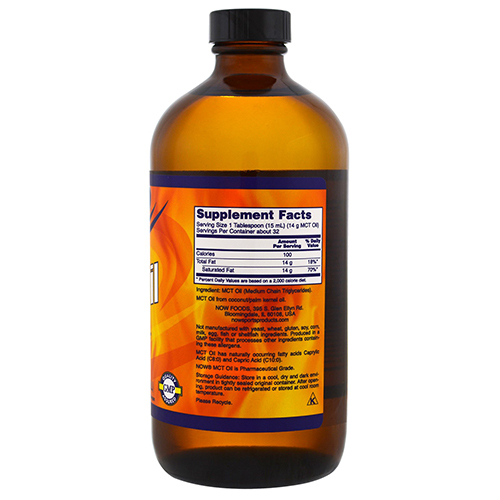 MCT oil is Thermogenic which can support healthy body composition. Numerous studies suggest that substituting MCT Oil for other fats helps to maintain healthy weight. Many Ketogenic diet experts recommend MCT oil for helping to get into ketosis more rapidly. 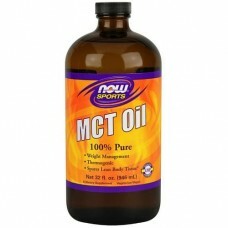 MCT oil is a dietary supplement with naturally occurring fatty acids Caprylic Acid (C8.0) and Capric Acid (C10.0). NOW MCT oil is Pharmaceutical Grade oil derived from Non-GMO coconut/palm kernel oil. Not manufactured with yeast, wheat, gluten, soy, corn, milk, egg, fish or shellfish ingredients. Produced in a GMP (Good manufacturing practice) facility that processes other ingredients containing these allergens. A high quality Philippine coconut oil brought to you from Green Pasture, who also supply our f..